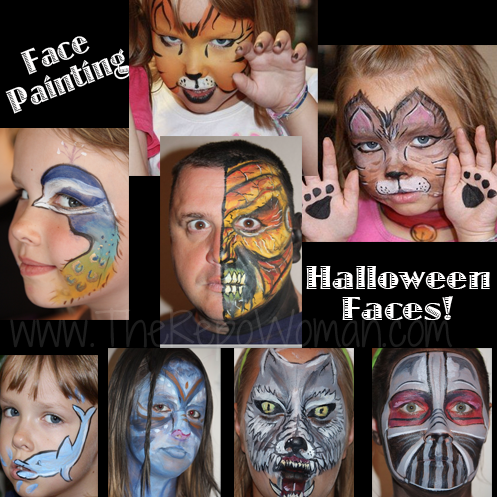 Face Painting Ideas for Halloween, Birthday Parties & More! One thing i’ve learned is that face painting is, it’s all about the makeup and the tools! Seriously! Spend a bit more money on the paint and the brushes/sponges and it will look professional! There’s some pretty reasonable “professional” face paints on the market and even you should try it! Heck, my 7 year old uses these paints to face paint her girlfriends! It’s absolutely daring to watch too! The make up that I am referring to is either Mehron Paradise Face Paint or Wolfe Brothers Face Paint. Here’s a sample of it on Amazon HERE. This paint is a professional paint that has the same look and feel as regular makeup! It doesn’t have that cake or heavy layered feel like the paints you see at the craft stores. It washes off nicely with soap and water too! These paints have a high pigment color that makes your face painting projects vibrant in color! By the way, this small palette of paints will last you more than a year! The best tutorial book that I refer to is written by The Wolfe Brothers, called Extreme Face Painting. It’s easy to follow with the demonstration they have laid out in this book! Definitely worth the purchase! Next, lets talk tools. Brushes are important but not nearly as important as sponges in face painting. I mainly use a sponge to do my face painting but I do use a brush for the outline or detail! 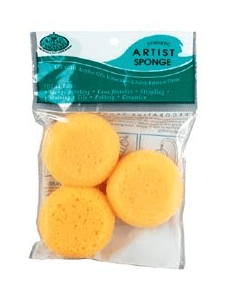 These artist sponges can be found at almost any craft store. Here’s a package I found on Amazon. I always cut my sponges in half and use one sponge per color. These wash very nicely with soap and water or baby wipes!! 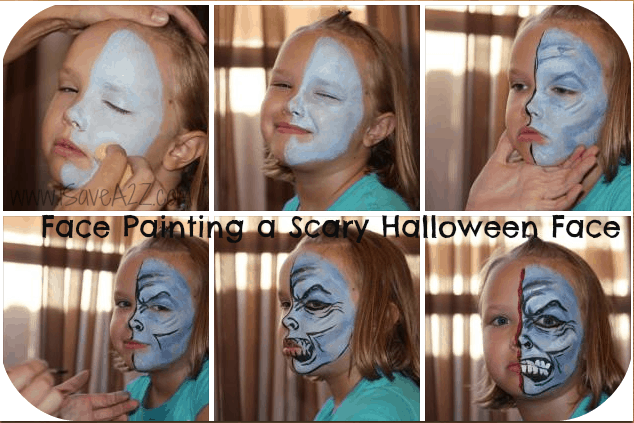 Here’s a step by step photo guide for Face Painting a Scary Face! Perfect for Halloween! I hope I have inspired a bit of creativity into your Halloween! Keep it Crafty my Friends!